Of all its fantastic functions, I’d have to say one of my favorites is the “dough” setting. It’s truly remarkable! 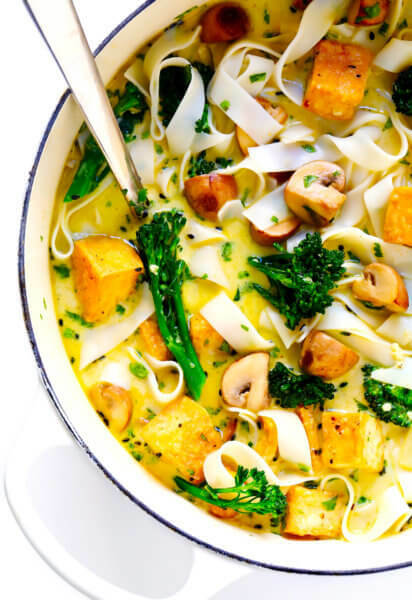 From recipes for breads, to cinnamon rolls, to (yes!) pizza crusts, I simply toss in the ingredients and press “start”, and 2 hours later a perfect ball of dough emerges mixed, kneaded, and turned to perfection. No need for bread-babysitting — love it! 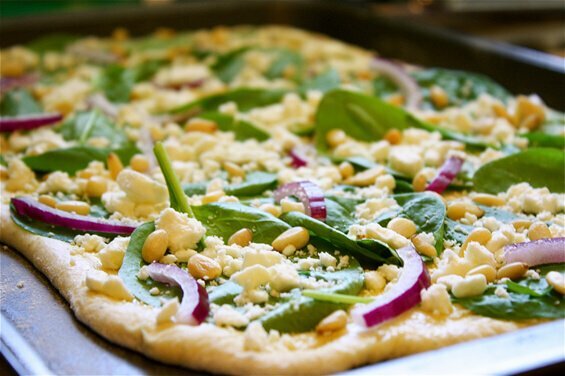 So when I found myself needing to use up some leftover spinach and feta this week, and was craving something a little more substantial than a salad, I turned to pizza! Since I had a few hours at home, decided to put the beloved bread machine to use making the dough. (But as mentioned in the tip below, there are a number of shortcuts there!) This crust recipe is one of my favorites — classic white, slightly fluffy and chewy, with a hint of sweetness from the honey. 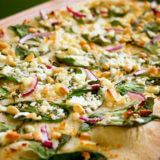 Also loved the combination of feta, spinach, and the red onion. But the best part was undoubtedly the pine nuts. They toasted perfectly in the time it took to bake the crust, and brought a wonderful depth of flavor and texture to the pizza. 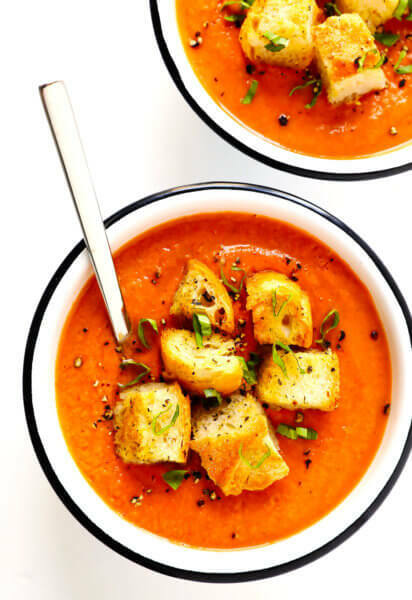 Would recommend this as a main dish or appetizer any day! 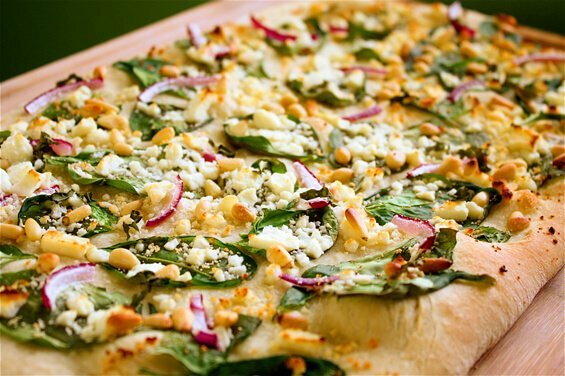 Recipe and photos for Spinach, Feta & Pine Nut Pizza. For bread machine: Place pizza dough ingredients in bread machine in the order recommended by the manufacturer. Select “dough” setting, and begin. 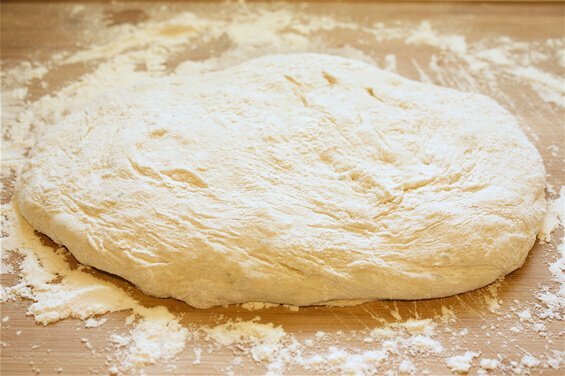 Remove dough when the cycle is complete, and roll out into desired shape and place on a floured (or cornmeal-dusted) baking sheet or pizza peel. By hand: Pour water into large bowl. Sprinkle yeast over; stir to blend. Let stand 10 minutes to dissolve yeast. Add oil, salt, honey (and optional herbs), then flour. Stir until well blended (dough will be sticky). Turn dough out onto generously floured surface and knead until smooth and elastic, adding just enough flour to prevent dough from sticking, about 5 minutes (dough will be soft). Shape dough into ball; place in large oiled bowl and turn to coat. Cover bowl with kitchen towel. Let dough rise at cool room temperature until almost doubled, about 2 hours. Punch dough down; form into ball. Return to bowl; cover with towel and let rise until doubled, about 3 hours. Remove dough, dust with flour, and roll out into desired shape and place on a floured (or cornmeal-dusted) baking sheet or pizza peel. Preheat oven to 450 degrees. Brush dough lightly with olive oil, and then top with spinach, feta, and pine nuts. 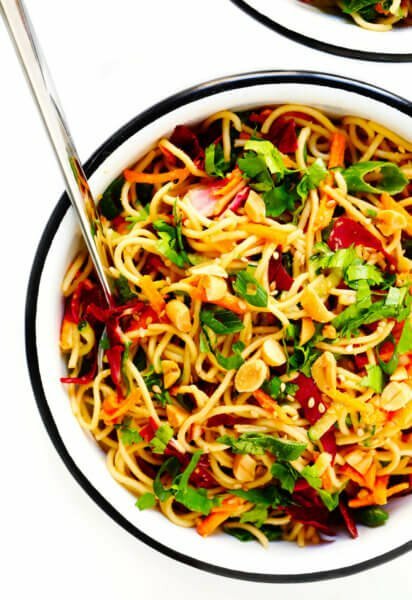 Sprinkle with chopped basil if you’d like. Bake for 10-15 minutes, or until crust is golden and the cheese and pine nuts are lightly browned. Let cool 5 minutes before slicing. This totally inspired me to pull out my bread machine and make pizza dough. I’ve always just made bread with mine. Thanks for the inspiration and for tonight’s dinner!